The list of the commands is indicated below (on the left side), along with a short description (on the right side). In typing a command, any uppercase or lowercase character can be entered. 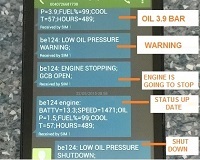 STATUS It sends a request to read the status of the engine, mode of operation and to read the power supply of the Be16 module. ALARM It sends a request to get information about active alarms. In case of no alarms, the Be16 will return the message ‘NO ALARMS’. It makes starting the engine . It stops the engine after a start made upon a START request via SMS. This command is ignored if the Be1 features an input programmed for remote start. ENGINE OFF The engine is totally stopped. ENGINE STARTING The Be16 is starting the engine. ENGINE RUNNING The engine is running. 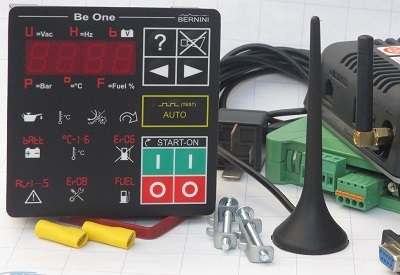 You are required to install the Be124 generator controller (7) into your power generator (SEE THE TUTORIAL). 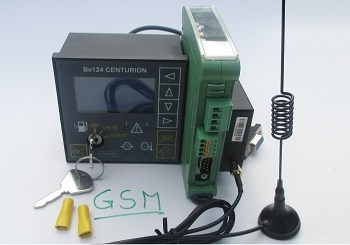 You connects the BE16 GSM gateway (4) and MODEM. Put inside the MODEM (2) a normal SIM card. By using your mobile (1) you can directly configure the system. YOU CAN CONNECT THIS MODULE TO YOUR ENGINE BY USING 2 DC-COIL RELAYS OR BY USING THE CANBUS J1939. THE BE124 MONITORS ALL PARAMETERS OF YOUR POWER GENERATOR PROVIDING EXTRAORDINARY FEATURES LIKE DATA LOOGER AND OSCILLOSCOPE. 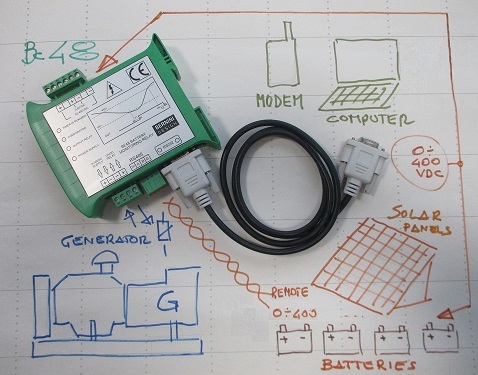 IS YOUR GENERATOR INVOLVED IN RENEWLABLE ENERGY SYSTEMS?